Today marks one week with no caffeine! Yay me! I never thought coffee would be something I would give up. At least, not with plans to avoid it permanently. Since replacing my morning Joe with a large Dandelion tea, I feel more energetic, focused and clear-headed. In fact, I really don't see myself becoming dependent on it again. My withdrawal period was short. It only took two or three days of headaches, fatigue, and negative energy for me to push through to the other side. In the wellness world, there are many conflicting opinions about whether coffee is an antioxidant powerhouse or a harmful drug. I personally don't think it's so black and white. It has a lot to do with how an individual metabolizes and reacts to it, and although I wouldn't say I reacted terribly to caffeine, I definitely feel better without it. So what's my opinion? To put it simply, become in tune with yourself, listen to your body and make a decision based on how you feel. I know that coffee in baked goods doesn't provide the same effects that drinking a cup of caffeinated brew does, but I wanted to create a completely caffeine-free, mocha tasting dessert. 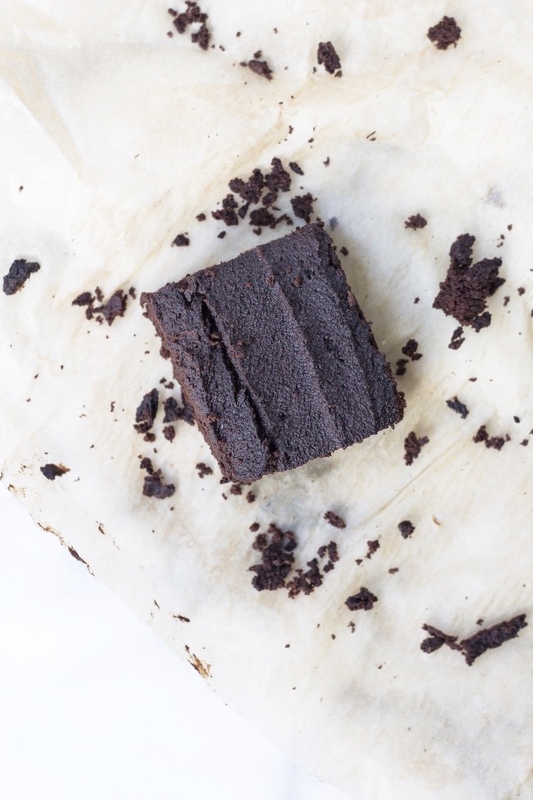 These rich fudge brownies hit the nail on the head. This recipe calls for Dandy Blend, but feel free to swap it in for other coffee alternatives such as Teechino and Chaga Mushroom Elixir. If you are a coffee drinker, you can add ground organic coffee here too! Creamy dark chocolate infused with that roasted coffee taste we all love and chopped walnuts added for the extra crunch, all packed into a bite sized square of decadence. Enjoy these with your afternoon herbal tea, guilt-free! 1) Preheat oven to 350F and grease an 8 x 8 baking sheet with coconut oil. 2) In a medium saucepan, melt chocolate over a low heat until smooth. 3) Add grass-fed butter or coconut oil and stir until melted. 4) Add dandy blend, stir, and remove from the heat. 5) Add eggs, vanilla extract, sweetener and salt and stir. 6) Add almond flour and coconut flour. Mix in thoroughly until smooth. 7) Pour batter into greased baking tray and bake for 25 minutes. Let cool for 5-10 minutes before serving. Store in the fridge to keep fudge texture.